The average company's network is accessed by 89 different vendors every week, according to a new research report that surveyed more than 600 IT decision makers at mid-sized and large enterprises -- but only a third were confident that they knew the exact number of vendors who had accessed their systems. And the number of partners, vendors, contractors and temporary workers who require access is only increasing, said Matt Dircks, CEO at Bomgar, which sponsored the research. Three quarters of those polled stated the number of third-party vendors used by their organization has increased in the last two years, and 71 percent believe the numbers will continue to increase in the next two years. "It's becoming an exponentially contentious problem," he said. "A perfect storm." It's not that companies aren't aware of the potential risks, he added. In fact, 81 percent of respondents admitted that high profile data breaches, such as the 2013 attack on Target, have increased their awareness of the need for better third-party vendor controls. Yet only a third (35 percent) are confident they know the exact number of vendors accessing their IT systems. In addition, while 56 percent of companies have some degree of ability to track or limit what outsiders are doing on their networks, 44 percent have an all-or-nothing approach to vendor access management. As a result, while 92 percent said they trust vendors completely or most of the time, two-thirds admitted that they tend to trust vendors too much, and 69 percent reported that they had definitely or possibly suffered a security breach resulting from vendor access in the past year. And 77 percent of respondents said they expect to have a breach within the next two years based on the vendors in their networks. "I was surprised," said Dircks. The risks are likely to increase, he added, as a result of the growth of the Internet of Things and of sub-contractors. 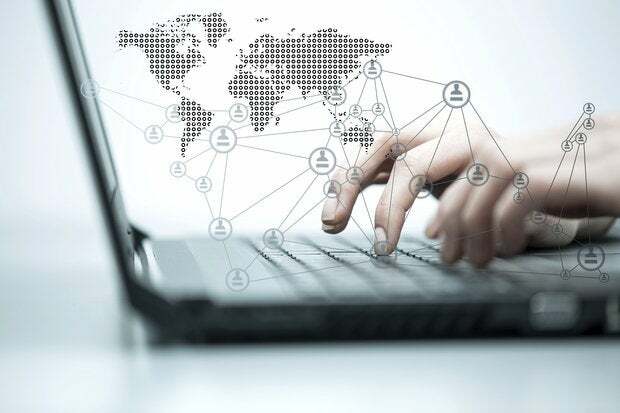 Survey respondents agreed -- 74 percent said they were concerned about IT breaches originating from connected devices during the next year and 72 percent see vendors using their own sub-contractors as a further risk. According to Bomgar, two main factors are contributing to the lack of oversight of vendor access. One is the difficulty of keeping up with the changing cyberthreat landscape and making sure all their third-party access policies and up-to-date and adequately enforced. More than half of those surveyed have not reviewed their policy around third-party access in the last two years, and only 51 percent said they enforce policies around third-party access. The other side of the coin is the vendor selection process itself. More than half of respondents said that threats related to vendor access were not taken seriously enough in their organization, nearly three quarters said that third-party vendor selection overlooks key risks, and 64 percent said that their organization focuses more on cost than security.